With so many self-published authors vying for contracts with publishers, new and unpublished authors can find it increasingly difficult to find opportunities to break through. The Choc Lit and Whole Story Audiobooks Search For A Star competition was set up to address that problem. With Choc Lit as one of its two sponsors, the shortlisted books - and the eventual winners - are guaranteed to feature a well-written story with romance at its heart, together with a gorgeous hero. Earlier this year I was enthralled by the previous winner, Jan Brigden, and the excellent As Weekends Go. 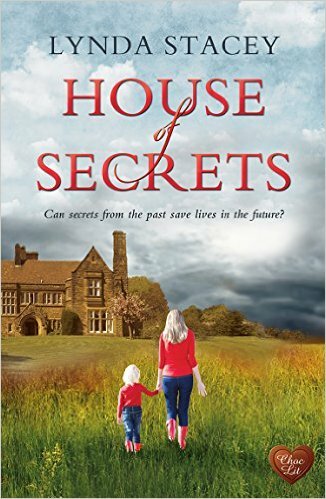 And now it's the turn of Lynda Stacey, the 2015 winner: House of Secrets (isn't that just another gorgeous Berni Stevens cover?) is published for kindle on 19th July, and I just couldn't wait to read it. And I really did enjoy this book a lot, even though it turned out to be something totally different from what I initially expected - this isn't in any way the sweet straightforward love story with a country house setting that you might be predicting in the first quarter. The author's excellent at creating characters. Liam really is a superb anti-hero - something about him sets your teeth on edge from the time you first meet him, and as time progresses his "Maddie darlin'" sends shivers up your spine. He was never really going to smile and let Maddie just walk away, was he? I'm not the world's biggest fan of children in books, but young Poppy is really well drawn and I really liked her interactions with everyone - she brings out the soft side of Bandit, and Maddie's love for her warms your heart. I liked Maddie's feisty sister Jess too - there's an excellent scene with some golf clubs early in the book that brings out her character, and the whole back story about why the sisters are so different adds an interesting extra layer to the story. I really felt for Maddie's father too - I struggled to get a clear picture of him at first, but really liked the scene where he talks with Jack about his feelings, and the ice skating scene was beautifully done and very touching. And as for Wrea Head Hall, it's almost a character in its own right, brilliantly drawn and a perfect setting for the unfolding story. There are some excellent bits of description that bring it to life - the Christmas scenes, Halloween, the grounds, and the detail of the interiors. Maddie's arrival at the hall and her first encounter with Bandit is very well done. Bandit is a great romantic hero - I really liked his vulnerability, his background story, the gentler side he shows with Poppy, his thoughts as he runs through the woods, and the way he becomes Maddie's protector. I must admit I was a tad less keen on Maddie herself - some of her actions seem really badly thought through, and I wanted to give her a good talking to. The putting herself in danger is totally inkeeping with the best gothic tradition - but it didn't stop me wanting to throttle her at times. As the story progresses, the tension cranks up to a level that makes the book difficult to set aside - scene after scene, every one vividly drawn, sometimes quite chilling (that breakfast scene! ), some edge-of-the-seat writing when I had no idea where things were going. The book's climax is really excellent, and I read it through my fingers, with dry mouth and pounding heart. But if I was surprised by the way the story turned really rather dark and tense, I was more surprised by the historical thread after the diaries were found: but the way it all worked through was very good, and added more emotional depth to the story. My only small criticism was that I wasn't entirely convinced by Emily's "voice" for someone living in the 1940s - she seemed over modern in some ways, but also a bit Victorian. I did, though, really like the way the story threads all tied together at the end. To sum the book up? I really enjoyed it. In some ways it wasn't the book I expected, with its darker edge: but in other ways it most certainly was, and totally satisfied - even exceeded - my expectations as an involving love story (several, in fact) with a very different twist. The author writes really well - albeit with a few minor quirks to be expected from a first-time novelist - and I'm really looking forward to seeing what she tackles next. 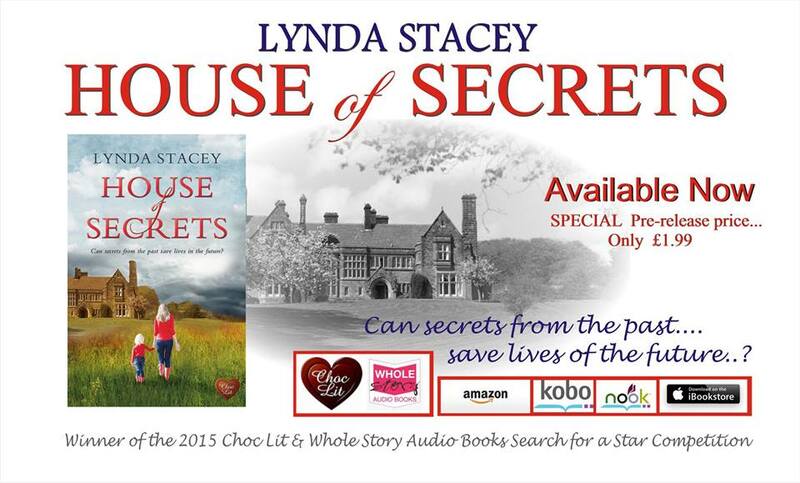 My thanks to Choc Lit, netgalley and the author for my advance reading e-copy. Lynda Stacey is a wife, step-mother and grandmother who grew up in the mining village of Bentley, Doncaster, in South Yorkshire. 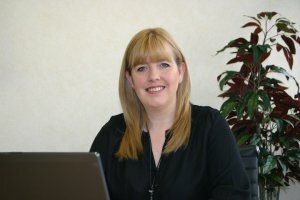 She is currently the Sales Director of a stationery, office supplies and office furniture company in Doncaster, where she has worked for the past 25 years. Prior to this she’d also been a nurse, a model, an emergency first response instructor and a PADI Scuba Diving Instructor … and yes, she was crazy enough to dive in the sea with sharks, without a cage. Following a car accident in 2008, Lynda was left with limited mobility in her right arm. Unable to dive or teach anymore, she turned to her love of writing. Her own life story, along with varied career choices. helps Lynda to create stories of romantic suspense, with challenging and unpredictable plots, along with (as in all romances) very happy endings. 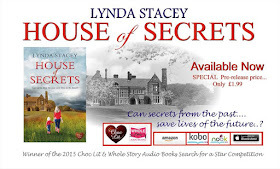 Lynda joined the Romantic Novelists' Association in 2014 under the umbrella of the New Writers Scheme: in 2015 her debut novel House of Secrets won the Choc Lit & Whole Story Audiobooks Search for a Star competition. She lives in a small rural hamlet near Doncaster, with her ‘hero at home husband’, Haydn, to whom she’s been happily married for over 20 years. Lynda has a website, and can also be found on Facebook and Twitter. When I set up this blog, I really agonised over what to call it. I wanted it to be more than a book blog, but I still need to work on that - maybe one day, but then again maybe not. I'm enjoying myself too much with the books. My name is Anne, I live in Wetherby in West Yorkshire, I'm now 60 years of age, and - to my great delight - I took early retirement in March 2014. I looked forward to it so much - spending my time doing all the things I enjoy 100% of the time. My first passion has always been reading - so there will always be a lot about books. My second passion is travel - I live for my holidays, and I'll so enjoy sharing my experiences with you. And every so often, there might be other things - food, theatre, films, and anything that takes my fancy and makes life interesting. But then again, if it's mostly books, you will forgive me, won't you?